Over the past three election cycles, San Leandro voters have helped the city bolster its treasury through various tax measures. It may ask for help again this fall through another tax-raising ballot measure. 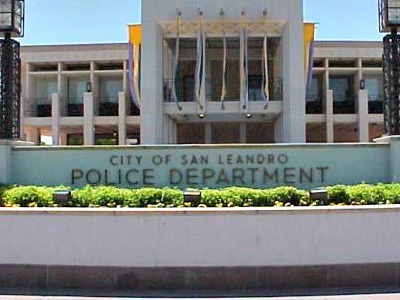 Although the city’s finances are relatively robust, San Leandro City Manager Chris Zapata said Monday its aging police and fire department facilities need upgrades soon. The City Council was presented Monday night with a sketch of the proposed ballot measure that features a mixture of higher taxes on parking lots and warehouses, along with a new tax on cannabis sales. If approved, the package of taxes could bring in up to $1.8 million in new revenues to the general fund, said Assistant City Manager Eric Engelbart. Specifically, the city staff’s proposal to tax cannabis sales could generate up to $500,000 in annual sales tax if set to up to 7 percent of gross receipts. San Leandro first medical cannabis dispensary is scheduled to open sometime this year, and a second is currently under consideration. The plan also proposes taxing warehouses up to $100 per 1,000 sq. ft. of space and taxing parking lot operators up to 10 percent on gross receipts. The additional tax on parking lots is intended to take advantage of various long-term airport lots in San Leandro that are assessed far lower taxes than similar lots in Oakland, which are taxed up to 18 percent, said Engelbart. Although the proposed measure appears to highlight funding for public safety facilities, Engelbart said it is designed to be general purpose. The designation would allow the measure to need only a simple majority to pass, as opposed to the more difficult to attain two-thirds majority required for measures intended for a specific purpose. If eventually placed on the November ballot, one selling point to the public may be the likelihood the proposed taxes would not directly impact a vast majority of San Leandro residents. Nonetheless, San Leandro voters have been quite receptive toward approving local tax measures in recent years. In 2010, voters approved Measure Z, which most credit with helping keep San Leandro’s finances afloat during the Great Recession. Two years ago, voters also approved Measure HH, which bolstered funding for public safety, roads, and other city services. Posted in Chris Zapata, dispensaries, Eric Engelbart, Measure HH, Measure Z, medical marijuana, November election, Oakland, sales tax, san leandro, san leandro city council. Bookmark the permalink.